Schools with a lot of pupils, such as the one in Sopot are admittedly important, but they make it more difficult to raise funds to cover renovation costs. The number of toilets which have to be replaced is high and as far as the roof is concerned, doing things by halves is impossible. Fortunately, thanks to a generous sponsor, work can now be started. We will keep you informed. Region of the Mofou, North Cameroon. 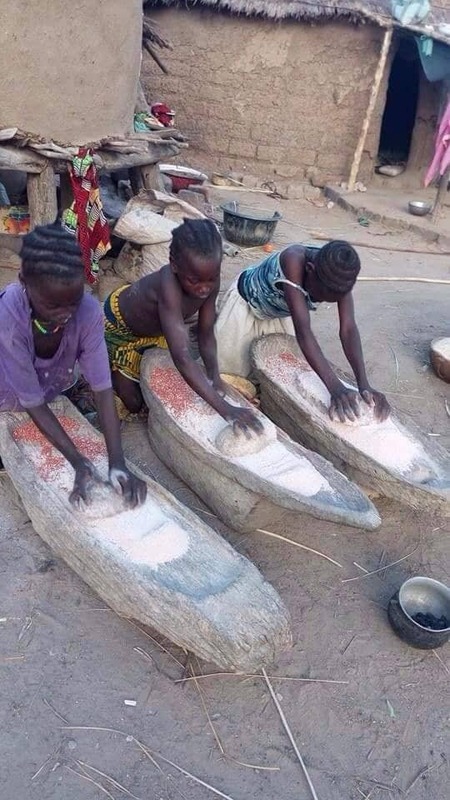 Hunger and poverty dominate everyday life of the Mofou people. Women and children suffer most because there are no mills. Maize and millet have to be ground on stones by hand or taken 10 to 15 kilometres to the nearest mill, often on foot! A class of the Enge high school in Zurich has therefore decided to plan a project for the installation of mills. For the Mofou people this is the best hope.